The sudden shift from diesel to petrol cars in the new car market may see the used car market hit by petrol car oversupply in the medium term. So said the Vehicle Remarketing Association as it highlighted that used buyer demand for petrols is not matching that seen in the new car market , with possible implications for RVs. 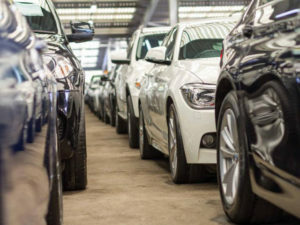 Latest figures from the Society of Motor Manufacturers and Traders (SMMT) show that registrations of petrol cars increased by 23.5% in May, while diesels fell for the 14th consecutive month, down 23.6%. This gave diesels just a 32.3% of the overall new car market last month, compared to 43.8% in May 2017. However, according to Glenn Sturley, VRA chair, this dramatic shift away from diesel in favour of petrol has not been replicated in the used car market where there is little sign of demand for used diesels falling, due to their main benefits. In response, Sturley cautioned that there would be a corresponding, sudden influx of larger numbers of petrol cars into the used sector in the medium term but that there might not be sufficient demand to maintain values at current levels. “At some point in the next 12-24 months, we will see petrol cars arriving on the used market in much higher numbers. Volumes for petrol supply in the last few years on some model ranges have been sub-10% of total numbers and tis figure could easily triple.